It's easy to look at today's movie world and rant about all the remakes and reboots, particularly in the comic book genre. Batman Begins re-started that story just eight years after Batman & Robin, and there was only a five-year gap between Hulk and The Incredible Hulk. These are short breaks, but that's not a huge problem if the films bring something different to the table. We should remember that remakes are hardly a new phenomenon. Classics like John Huston's The Maltese Falcon and Howard Hawks' His Girl Friday are both not the original versions. 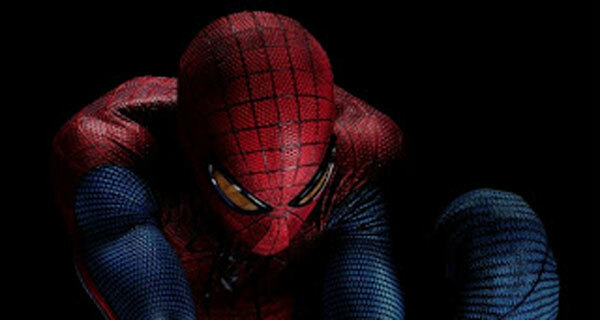 This brings us to The Amazing Spider-Man, which arrives only five years after 2007's Spider-Man 3. This short timing feels odd because we're covering a similar origin story to what we saw with Tobey Maguire's character last time. Even so, I'm not interested in railing about why this remake is too soon. It's worthwhile to compare the two versions since they're fresh in our minds, but dismissing this new take is too easy. The comic books originated in 1963, so there have been many incarnations of the beloved hero. Peter Parker (Andrew Garfield) has lived with his Uncle Ben (Martin Sheen) and Aunt May (Sally Field) since his parents mysteriously left him when he was a young boy. He faces bullying at school and still is struggling with the loss of his parents. New information on his father's work leads Peter to Dr. Curt Connors (Rhys Ifans). While exploring his research in Oscorp, he's bitten by a spider that gives him super powers. While he discovers his new skills, Peter inadvertently causes the death of his Uncle. 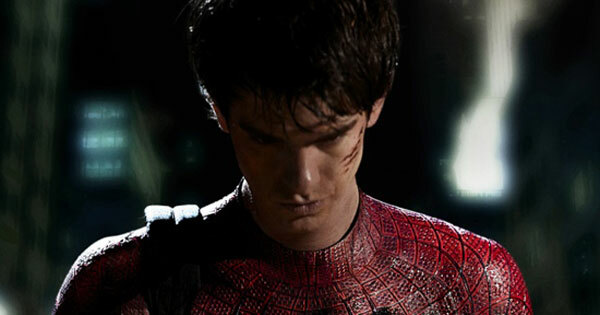 He strikes up a relationship with Gwen Stacy (Emma Stone) and starts acting as the vigilante Spider-Man. Meanwhile, Dr. Connors' dangerous work transforms him into a giant Lizard that threatens New York City. Peter must work to defeat this beast without losing himself in the process. Peter's new powers can help innocent people and fight evil, but there's also a great responsibility (as the saying goes). He develops a knack for accidentally destroying things, particularly in sports facilities. Uncle Ben's voicemail reminds Peter of issues at stake beyond stopping the Lizard. We also return to the idea that anyone close to Spider-Man becomes threatened. Captain George Stacy (Denis Leary) admires what he's doing but warns of the risk to his daughter Gwen. His fate casts a shadow over the finale and reveals the personal costs even when the bad guy loses. There's also an interesting twist where Peter gives Connors the equation that creates the Lizard. While his intentions were good, there's even more weight on him. The execution falls a bit short because the monster's plans are pretty conventional. Rhys Ifans does a good job making Connors an interesting guy, but that intrigue doesn't remain when the Lizard starts wreaking havoc. He's pretty much a dull monster with a lot of strength but not much excitement. Andrew Garfield (The Social Network) is excellent and brings a warmth that fits with its more introspective style. It's clear that he takes the part seriously and isn't just hopping aboard a lucrative franchise. It's such a different guy from Tobey Maguire's wide-eyed depiction that it feels completely separate from that version. Emma Stone also creates a believable character who's immediately drawn to Parker. This isn't the case where he spends most of the movie pining for unrequited love. Another wise move is revealing his identity as Spider-Man to her quickly. This puts them on equal footing as a couple and doesn't give him a secret to keep. Martin Sheen also makes Uncle Ben a three-dimensional guy who does more than drive the plot. We feel his loss in the story right along with Peter. I haven't even mentioned the action yet, and that's because it isn't that interesting. 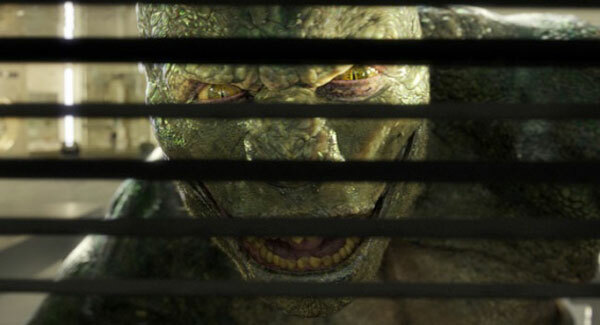 The finale at the top of Oscorp Tower is predictable because the Lizard seems out of place in this world. Having Spider-Man race against a countdown clock isn't very original given the strides made in other parts of the movie. The best fight scene against the Lizard comes inside the claustrophobic sewers because it shows the hero well out of his element against an imposing foe. Even that moment doesn't reach the excitement of the character scenes, though. Garfield and Stone have great chemistry, particularly in the rooftop scene where he reveals his identity. They seem right as a couple, and it doesn't feel like a stretch to see them together. This story also doesn't get too wrapped up in their romance as the driving force. It's important to Peter but only one aspect of what he's facing in this new life. This is only Marc Webb's second feature after (500) Days of Summer, but he shows plenty of confidence as a filmmaker. He uses James Horner's score well to sell the fun of the movie without pushing it too hard. The shots of Spider-Man flying over the streets of New York City are interesting, and Webb uses some cool devices to keep them from going stale. He employs the physical locations well, which makes it even more jarring when the CGI takes over near the end. Some of the first-person shots aren't as effective because they feel purposely designed for the 3D format. Watching them at home, they seem a bit out of place among the rest of the material. It's still an attractive-looking movie that doesn't rely too much on CGI, but there a few exceptions that take us out of the movie. The Amazing Spider-Man doesn't feel like an embarrassing money grab and provides an entertaining take on the famous character. I'm thinking that it will fall outside of my Top 10 List, but it's still worth checking out if you're one of the few who skipped it among the crowded summer fare. It doesn't reach the heights of Spider-Man 2, but the potential exists for a sequel to reach that level. Sam Raimi did a lot of great things with his trilogy (particularly the first two movies), and this version doesn't make you forget that success. It's a departure but retains a lot of the core elements of the story. This makes it a worthy follow-up that doesn't surpass the previous take but stands alongside it as yet another decent comic-book adaptation. I'm interested to see where it goes with the 2014 sequel. Next week, I'll close out this marathon with the unexplained phenomena of Red Lights. A good take, Dan. I think I was more impressed by it, but you're not offbase at all, really. I did enjoy the action, but I'll agree that the finale scene wasn't the best one. It was a good set up, and now we'll see (like you mention) if "2" follows the path of other superhero flicks and becomes the best of the bunch. Fogs, I hope they're able to build on this movie for a great sequel, and the potential is there. I'd probably still give it 3.5/5 if I was rating it, so it was still entertaining. At worst, it's a solid superhero movie, and there's nothing really wrong with that.